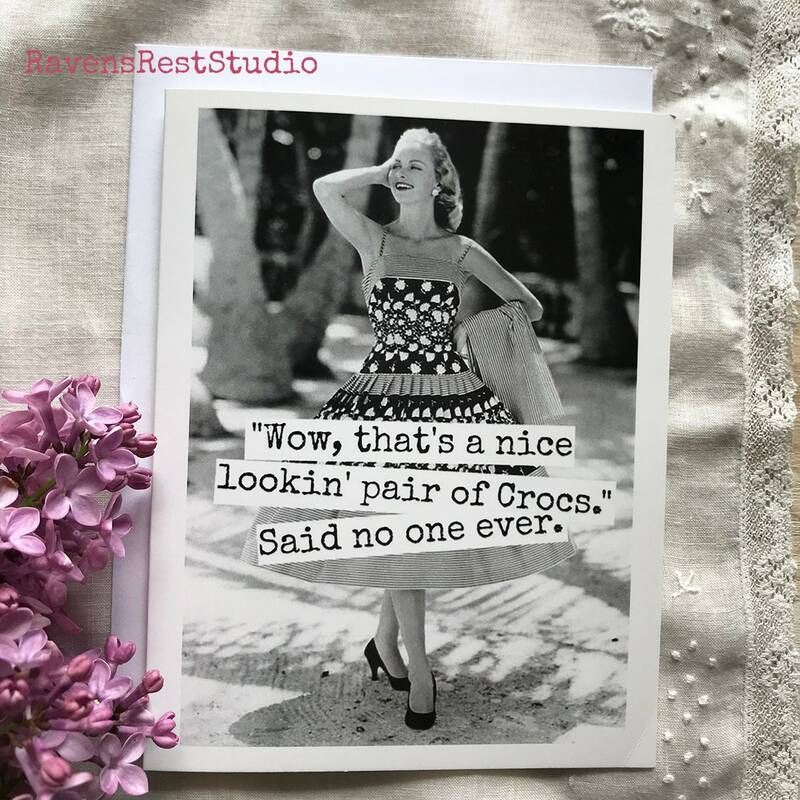 This card features a vintage woman and reads: "Wow, that's a nice lookin' pair of Crocs. 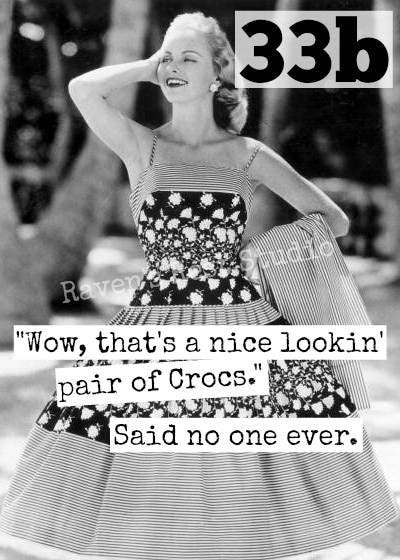 Said no one ever." 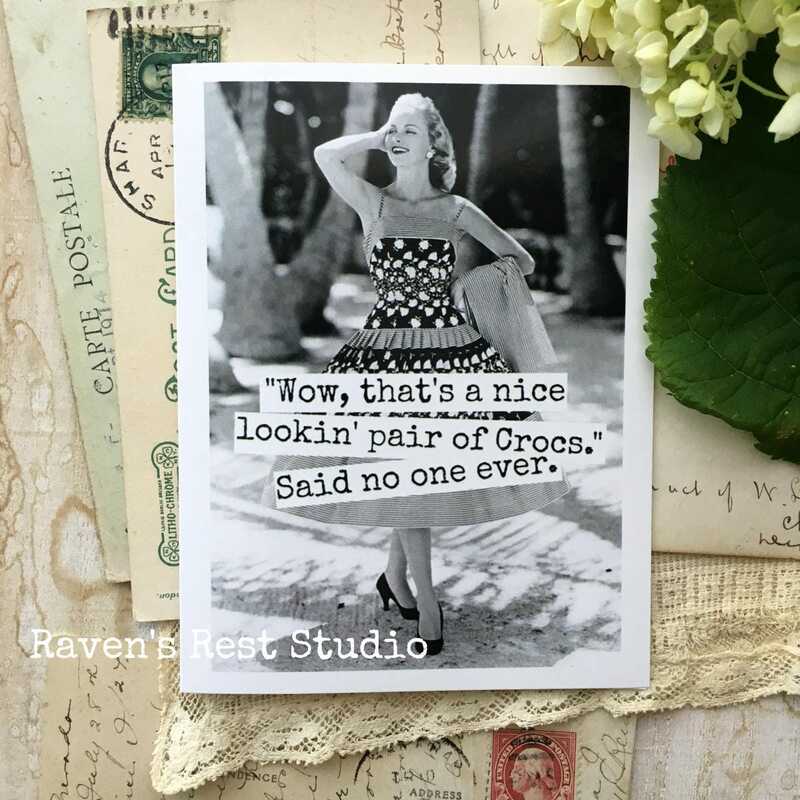 Jennifer was very responsive and a pleasure to work with.